With the Summer Olympics upon us, the already swarming city of London will be flooded with visitors. It behooves those planning to attend to take a word of advice from those in-the-know. On my recent trip to London, I sat down with Sophie Campbell, journalist, Daily Telegraph travel columnist, and Blue Badge Tourist Guide for London to learn how to navigate London amidst the frenzy. Do you have any tips for out-of-the-ordinary and unique things to do while visiting London for the 2012 Olympics? Take the District Line on the Underground to Bromley-by-Bow station and, instead of walking up to the Olympic Park, walk south down the Limehouse Cut to Limehouse Marina, where you can see multi-million pound yachts moored and watch boats leaving the marina via the huge lock. Then go and have lunch at Gordon Ramsay's pub, The Narrow, which has a huge terrace overlooking the lock entrance. Also, on August 2 make for the Whitechapel Gallery – celebrating its 101st year in the East End this year – for the Time Out First Thursdays night, when East End contemporary art galleries open their doors late and there are talks, walking tours, discussions, and plenty of eating and drinking options on offer. Finally, anyone going up to the canoe and kayak events further up the Lee Valley at the Lee Valley Whitewater Centre should go to Waltham Abbey just down the road. Get the train from Liverpool Street Station out to Waltham Cross. It's one of the least visited and most fascinating churches in England: parts of it date back to Anglo-Saxon times, King Harold, the last Anglo-Saxon monarch, is supposed to be buried here and the abbey itself is just stunning. Any suggestions for places to stay? Visit London has a dedicated section on its website with accommodation options. 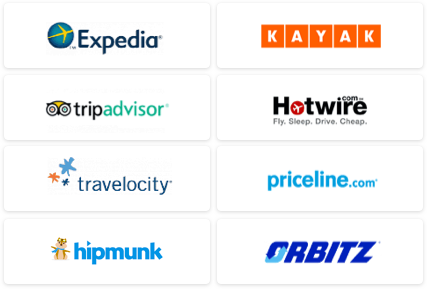 From a hotels point of view, it's a good idea to look at newly-opened hotels that haven't been able to do much marketing yet, or business chains that have a high turnover or corporate rooms. Two mini-chains that still have availability in central London, for example, are Apex Hotels, which has four excellent hotels, and Z Hotels, which has limited space available in its Soho hotel and is opening a large new property in Victoria in June. What if you don’t have tickets for the Games? Are there any events that you can see just by being in town? 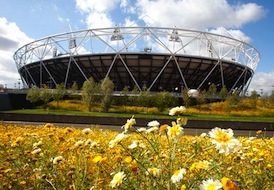 Look out for ticket returns and Park-only tickets on www.london2012.com. Follow the Twitter feed for up-to-date reminders and do the same on Ticketmaster, which is handling all the ticket sales – and don't overlook the chance to get Paralympic Games tickets in August, for which there is generally more availability. Also, the Cultural Olympiad, which has been going on for four years, reaches its climax during the Games and you can find all the Olympic Festival details – free shows, screens, events – on the 2012 website as well. From a sports point of view, the marathon route snakes its way right through London and there will be plenty of standing room (though not at the start or finish). Ditto the road cycling event, which does a loop out from the Mall into the Surrey Hills, and the Time Trials, which begin and end at Hampton Court Palace and go through South West London and out into Surrey. There should be some non-ticketed viewing for the Triathlon and Marathon Swimming in Hyde Park. Sailing takes place in Dorset, at Weymouth & Portland, and the best viewing spots are ticketed, including the North Peninsula. There will be a huge screen on Weymouth Beach and another possibility is to simply walk or cycle until you find a good position. Can you tell me a bit more about the morning Olympic Walk? Olympic Walks are run twice daily and they have added an evening walk for the summer. The nice thing about the walks is that they start at Bromley-by-Bow tube station and go past the 18th century mills on the River Lee before winding their way up to the Olympic Park, with good views of the venues. London won the Olympics partly on regeneration issues and this gives a great idea of why and how the area has evolved over the centuries. Rehearsals for the Opening and Closing events are taking place in one of the mills, so there's a living connection. The walks cost £9 for adults and £5 for children and it's best to book ahead. They also do private walks and tours to sites of the previous UK Olympics in 1908 and 1948 and visits to exhibits related to the Ancient Olympics at the British Museum. Any information for visitors looking to save money on their London trips? The obvious thing is walking instead of taking public transport – not only do you save money, you get exercise and see much more! Don't get on any public transport without buying an Oyster card. You can order them in advance and get them sent to you. The basic card cost is £10 plus a £3 activation fee. Without them, bus and tube fares are much more expensive. It’s also worth working out the bus routes, they are very well-signed these days, and you can go miles for a single fare, with great views (especially on the double deckers). The Tate-to-Tate Boat trundles between Tate Britain and Tate Modern several times a day, year round, for £5.50 one way, so you can start your day at either end and make the most of it. If you want to do a lot of the big sites, it may be worth buying a London Pass, but check carefully that you are doing enough to make it worth the cost – don't forget that many of our galleries and museums are free anyway. Do you offer any specific tours yourself that involve the Olympics in some way, or perhaps East London, where the Olympic Park is located? I'm qualified to do the Olympic Walks above and I love the East End: one of the walks I like doing is walking from Bethnal Green up through Victoria Park – the East Enders' equivalent of Hyde Park – and over to the Olympic site. Things are changing as the Games approach and the security lock-down begins in earnest, so I just work around what's going on. I also do a huge walk – though I can reduce the length if necessary – all the way downriver from central London out to Greenwich, the equestrian venue for the Olympics, and a shorter one from the Isle of Dogs via the amazing Greenwich Foot Tunnels. Anything else you’d like to add, Sophie? Have a look at my website, where you'll find ideas for tours, my blog, Twitter feed, and lots of 'before you go' tips about London. Have fun! For general trip-planning information, see our London destination guide. 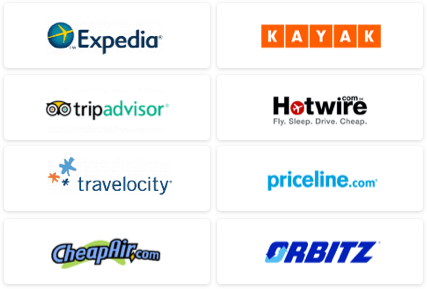 Use our Travel Search price comparison tool to find the lowest rates and travel deals on flights to London.